1. If range fails, now OpStrater will show what is minimum range required. 2. Also Stop Loss are changed automatically when resistance and support levels are updated. 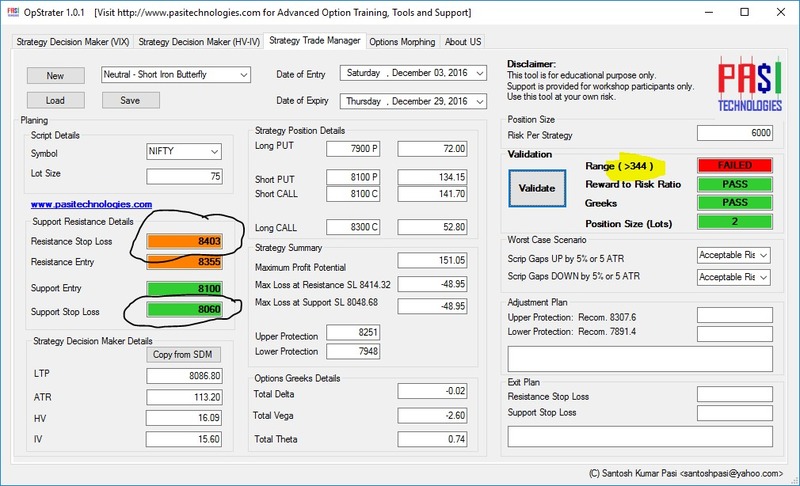 Additionally "Options Strategy Premium Tool" is updated to have two version of OptionsOracle. The "OptionsOracle Advance" will support USDINR with authorization. And "OptionsOracle" is standard faster version without authorization. 1. Minor change in the action of Graph button. There was bug that is removed now. 2. Default configuration slightly updated. If you are looking for some new features, please share it here. We will try to add those in future releases. is it possible to add intrinsic and extrinsic value for the options contract? 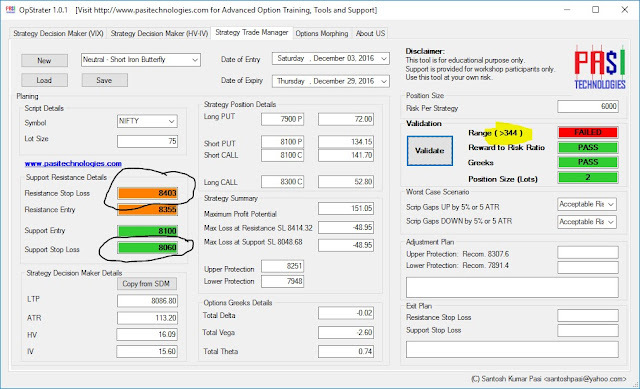 Next update planned to be released by first or second week of Jan will have Time Value (Extrinsic value) column in Strategy Position. Currently it is in testing phase.